The FDA has approved two new strengths of Apadaz (benzhydrocodone and acetaminophen) oral tablets for the short-term (no more than 14 days) management of acute pain severe enough to require an opioid analgesic and for which alternative treatments are inadequate. Originally approved in February of 2018, Apadaz contains benzhydrocodone, a prodrug of the opioid agonist hydrocodone, meaning that while the ingredient is initially inactive, it is converted to active hydrocodone by enzymes in the intestinal tract. 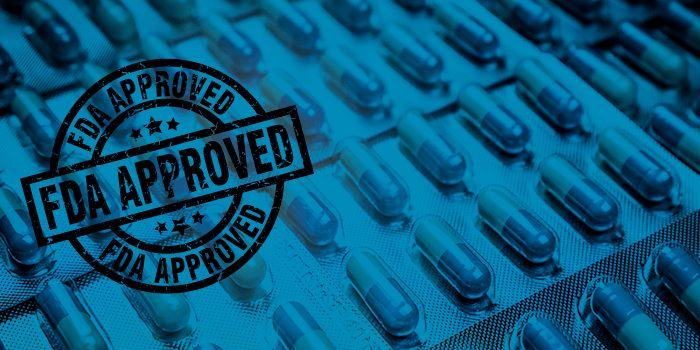 Apadaz was initially approved as a 6.12mg/325mg immediate-release tablet. These new approvals are for 4.08mg/325mg and 8.16mg/325mg. According to FDA-approved labels, like all other opioids, Apadaz comes with the risks of addiction, abuse, and misuse, even at recommended doses. As an opioid, Apadaz should not be combined with benzodiazepines or other central nervous system (CNS) depressants, and Apadaz also comes with contraindications for significant respiratory depression, acute or severe bronchial asthma, and other breathing conditions, as opioids can cause life-threatening respiratory depression. Common adverse reactions include nausea, somnolence, vomiting, constipation, pruritus, dizziness, and headache. New Leadership: The balance of power shifted in seven state legislative bodies with five flipping to Democratic control (CO, ME, NH, NY, WA), and one each to Republican (AR) and split party control (MN). Twenty states elected new governors, with seven changing from Republican to Democratic administrations (ME, MI, WI, IL, KS, NM, NV) and one changing from Independent to Republican (AK). At the federal level, Democrats now control the U.S. House of Representatives. Click here to learn what other regulatory trends could impact workers’ comp. 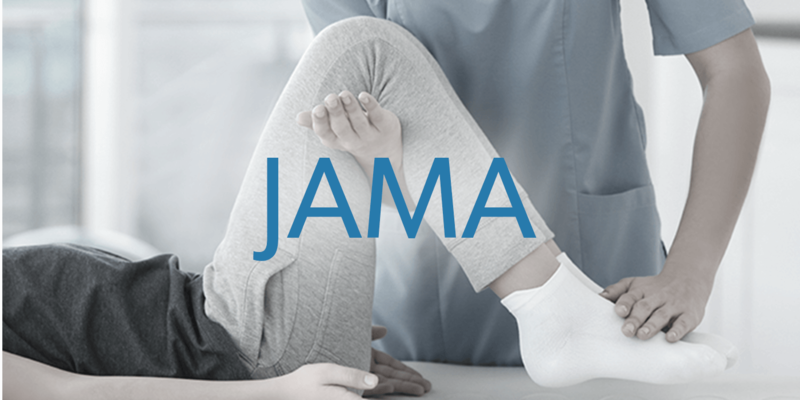 The Journal of the American Medical Association (JAMA) recently published Association of Early Physical Therapy With Long-term Opioid Use Among Opioid-Naïve Patients With Musculoskeletal Pain. The study analyzed 88,985 private health claims focused on shoulder, neck, knee, or low back pain, seeking to understand how early physical therapy – defined as physical therapy initiated within three months of injury – impacted long-term opioid use. The study examined prescriptions in these claims from 2007-2015 and found that physical therapy within three months of a musculoskeletal pain diagnosis reduced the probability of opioid use over the long term by 10%. No significant reductions in opioid use were found for those suffering from neck pain who engaged in early physical therapy, but overall the research indicates that physical therapy can reduce opioid use in patient populations. For more information, read the study in full. This change has raised attention as it opens the door to self-referrals, the practice where physicians can order patients to obtain prescriptions, tests, medical products, or other services that are either fulfilled by the physician, or by an entity to which the physician has financial interest. This can encompass physician dispensing in office pharmacies, durable medical equipment (DME), physical therapy clinics and ambulatory surgical centers, and more. According to the American Medical Association, physician self-referrals can be ethically challenging as medical interests may come in tension with financial interests and potentially undermine professionalism in medicine, depending on the circumstance, unless certain exceptions or procedures are followed. In fact, entities such as Medicare and Medicaid will not reimburse prescriptions or other services where physicians have referred patients to facilities in which they have financial interest. Though many critics have spoken against this Nebraska change, in an article from WorkCompCentral, some have argued that this could open up more treatment options in rural areas where medical services may be far and few between. 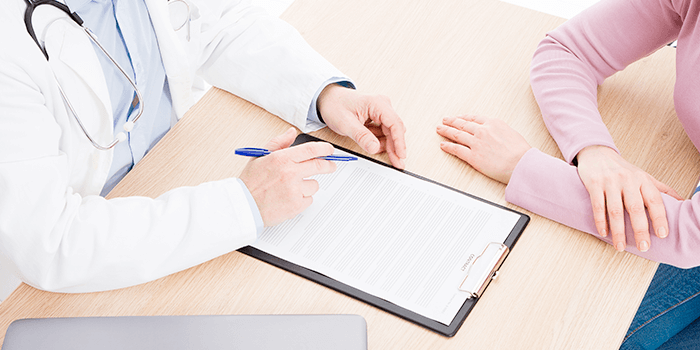 Furthermore, general arguments in favor of self-referrals point out that these referrals may be more convenient and increase the speed of diagnosis and care, as patients can accomplish multiple things all at once instead of visiting multiple facilities at different appointment times. Regardless, the legality of self-referrals when it comes to health programs beyond Medicaid and Medicare – including workers’ comp – varies across the country. According to a 2017 investigative report from The Philadelphia Inquirer, a Pennsylvania law firm that specialized in workers’ comp claims instructed clients to visit a preferred network of doctors, who would then direct patients to pharmacies owned by the law firm, and which the physicians themselves often had financial interest in. This practice resulted in the distribution of medically unnecessary and clinically ineffective pain creams for prices as high as $4,100, when FDA-approved medications were available for less than $100. While many found these practices questionable, there was no legal recourse for this practice, prompting State Senators to begin the process of creating laws to counteract these practices, which to date have not been established. The practice of self-referral in workers’ comp could potentially open the door to wasteful or abusive practices across pharmacy and ancillary services, and relying on the legal system to handle these concerns may be ineffective as legislative wheels may be slow to turn, or in the case of Nebraska, rolling back. Shortly after approving the first prescription mobile app to help treat opioid use disorder in December, the FDA released a drafted regulatory framework for the review of digital therapeutics, issuing various guidance documents in order to streamline oversight for new digital therapeutic programs. These developments – along with the fact that $12.5 billion was invested in digital therapeutics from 2017-2018 and over 140 efficacy studies involving digital health tools were published in 2017 alone – indicate that the field of digital therapeutics may see more advances in 2019. But to many this just raises the question; what exactly are digital therapeutics? 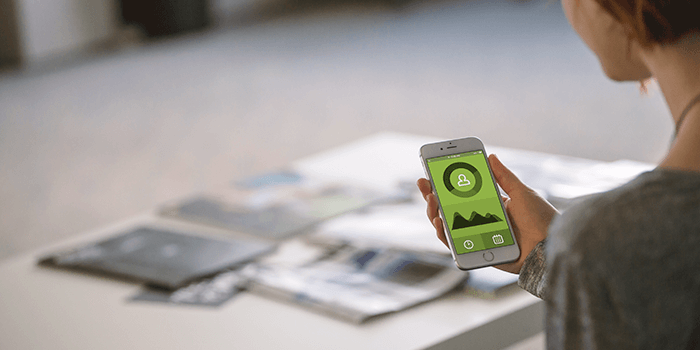 Digital therapeutics is the discipline of using evidence-based technology to help patients make behavioral changes that contribute to improved health outcomes for specific health concerns. This can involve mobile apps, medical devices, and other electronic modalities, so long as treatment relies on behavioral and lifestyle changes spurred by a collection of digital impulses. Digital therapeutics differ from general digital health products in that digital therapeutics are evidence-based with studies or clinical trials that demonstrate some form of clinical value for a specific medical condition. One significant differentiator is that reputable digital therapeutics can earn FDA approval to help treat certain illnesses and injuries. Perhaps most significant to workers’ comp at the moment is the FDA-approved reSET-O prescription app from Pear Pharmaceutics, which serves as an adjunct therapy for the treatment of opioid use disorder. The app is prescribed on top of traditional buprenorphine use and an out-patient therapy program, using cognitive behavioral therapy lessons to reinforce treatment lessons and train, monitor and remind patients to maintain therapy, allowing them to self-report cravings, drug use, and other factors. Based on patient interaction, the app uses a compliance reward system to increase retention in treatment programs. In a multi-site, unblinded controlled 12-week clinical trial of 170 patients, groups that used the reSET-O app – in addition to traditional therapy – demonstrated an 82.4% retention rate, versus the control group – which underwent just traditional therapy – who achieved a 68.4% retention rate. Pear Pharmaceutics also gained FDA approval for the Reset prescription app, which is used to treat substance use disorders for stimulants, cannabis, and alcohol. In clinical trials this app – in combination with traditional therapy – helped produce more than double the rate of drug abstinence when compared to traditional therapy alone. According to a provider survey from PwC, 54% of consumers are very or somewhat likely to use an FDA-approved digital therapeutic, and 56% of doctors have discussed them with patients. In fact, the survey reported that 77% of doctors have recommend some app or digital program to patients, with 66% of doctors saying this led to an improvement in the patient’s treatment experience. There appears to be much interest in digital therapeutics, but like any new technology or healthcare tool, there is still much more to learn. More clinical trials and operational insights are necessary to understand how well digital therapeutics may work, and more consumer information is necessary. Furthermore, there would be a need to establish frameworks to integrate digital therapeutics into the current healthcare system. 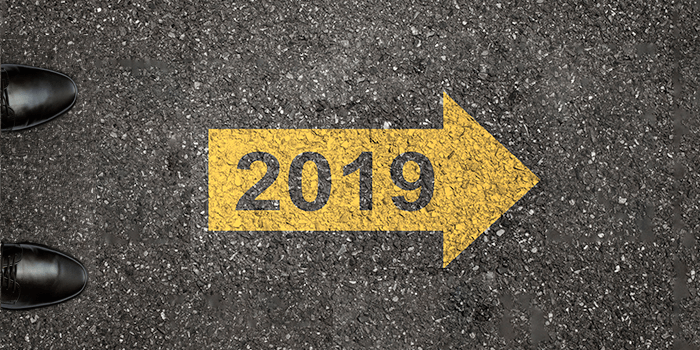 On top of potential legislative issues, questions of reimbursement and data collection arise, and then there is the general slow speed of healthcare and workers’ comp to embrace new technologies. It may still be some time before digital therapeutics renovates care, but it is certainly a topic to monitor.